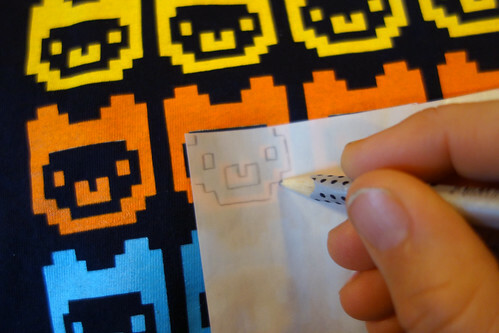 Take some thin paper and trace your alpaca face. 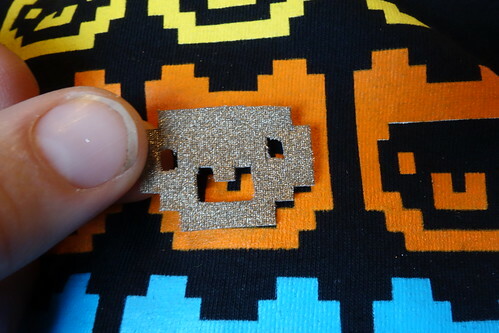 You can cut out the outline of your alpaca face with scissors. 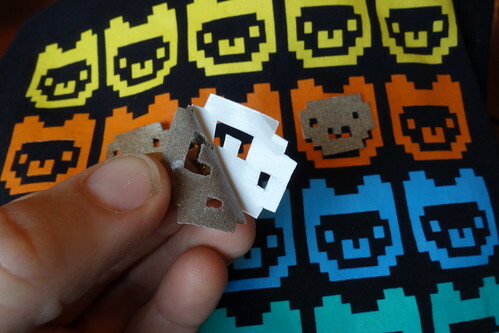 Use a cutter knife to cut out the inner pieces. 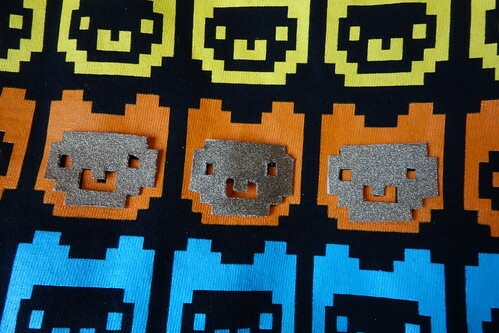 Place your alpacas on your t-shirt. 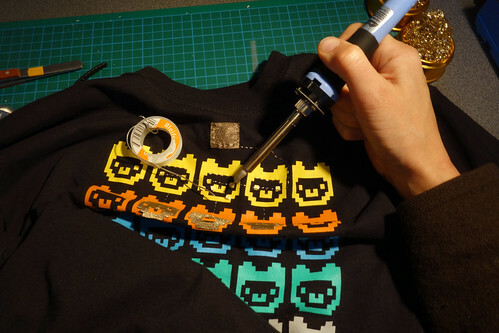 Use an iron or if you don’t have one, a soldering iron to fuse the conductive alpacas to your t-shirt. 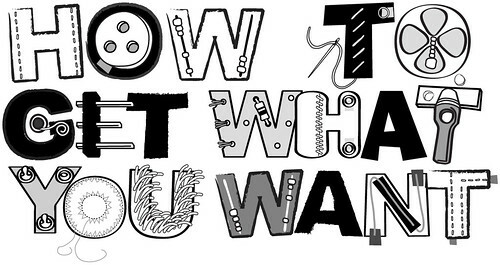 Sew with the conductive thread to create the following circuit diagram. 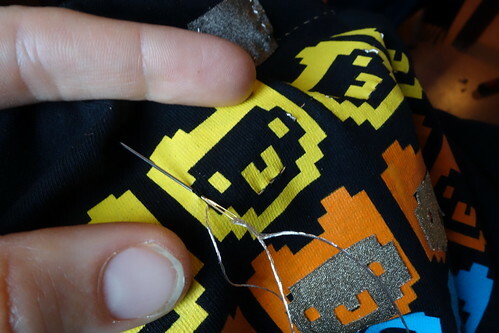 Start by sewing the edges of the battery pouch. 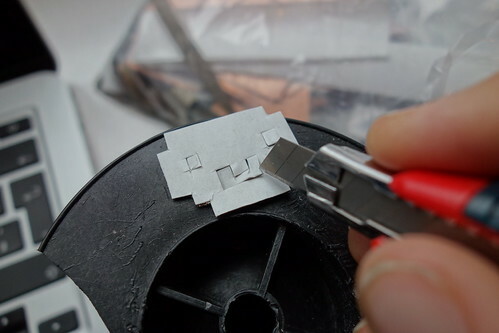 This will be the positive connection in your circuit. 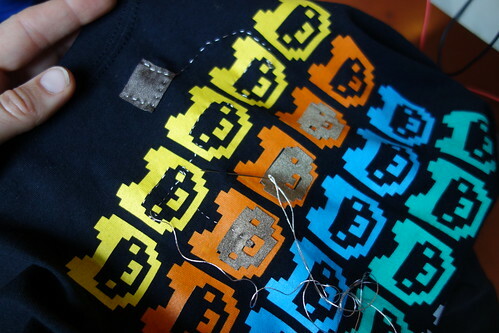 Continue from the battery pouch with the same piece of thread to sew to all the positive sides of the LEDs. 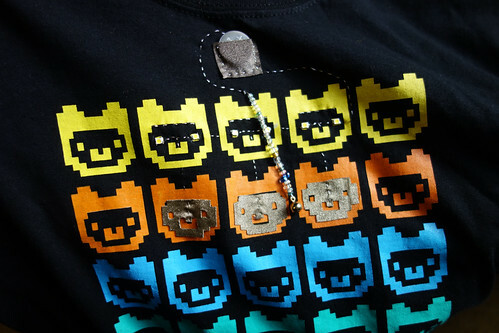 Check the circuit diagram. 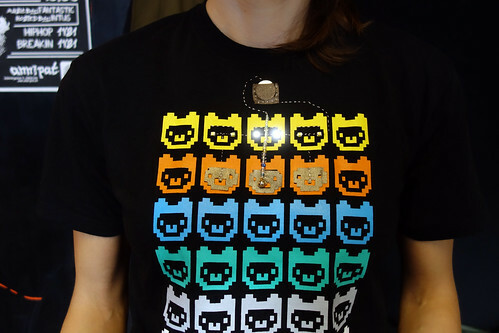 The negative connections should be sewn between the LEDs and the conductive alpaca faces. 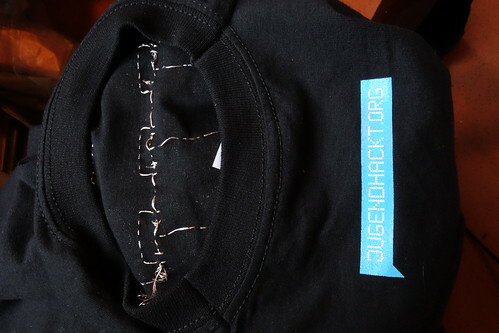 Make sure the sewing on the back of your t-shirt is neat, otherwise you will create connections where you don’t want to (short circuits). 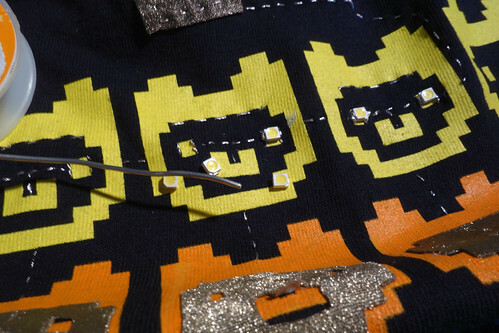 When you’ve finished sewing all of your circuit’s traces, you are ready to solder on the LED eyes. 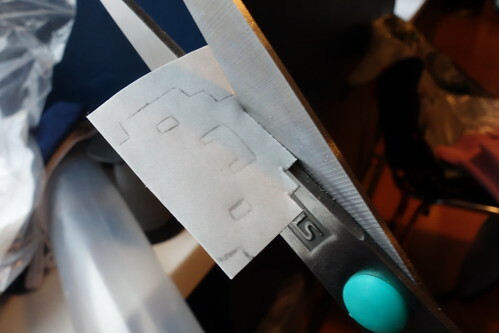 Use a pair of tweezers to hold the SMD LEDs in pace whole you solder one side at a time. 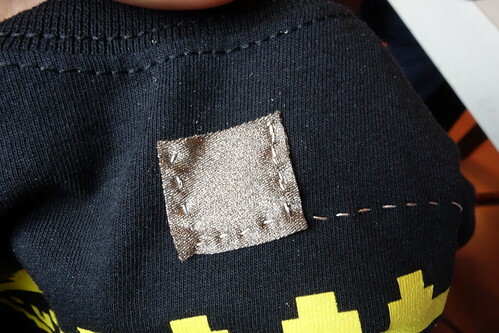 The final connection to sew is the negative battery connection. 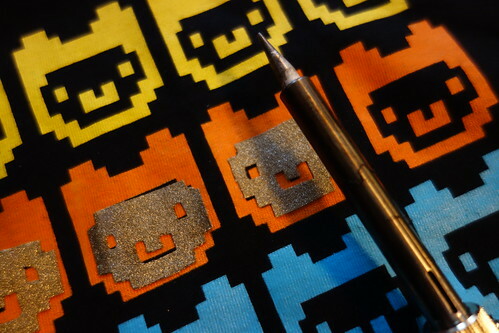 This runs from the inner center of your battery pouch (under the conductive fabric) to the metal bead.